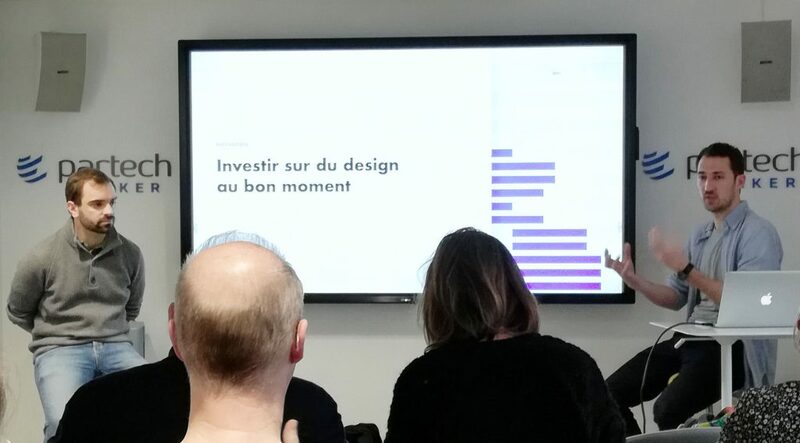 Guillaume Faure, Pelostudio Co-Founder (startup product design and presentation support) shares key advice and best practices on how to communicate efficiently with your design team. He is joined by Thibault Vilon, Elevo Co-Founder and a former Pelostudio Customer. => When should you invest in design? => How can you precisely estimate a design budget? GF: Design is costly and takes time, so make sure you estimate the costs and are able to finance it. Remember that design is not just a question of templates, it also involves features which can take months to integrate. Thibault Vilon (TV): You need to consider both the design agency fees and also high internal costs for implementation and time spent. During our project at Elevo, we changed our objectives and we had to re-design our product. A better strategy would have been to focus the design on a smaller project. GF: The best method is to make a template for just one feature at a time, rather than a template for the entire project, then develop each template in turn. You need to create a version 1, then a version 2, etc. GF: Designers need to ask customers many questions to ensure they properly understand their needs. Be available on a daily basis to give designers information and make decisions. You are the one with in-depth knowledge of your products, your customers and your markets. TV: Favor direct and open dialogue between your designers, the product manager and the technical team. GF: We recommend co-writing the brief with the designer during a workshop session. If your brief is too precise, you are going to trap your designers into a closed scenario. Some parts of the brief should come from your designers. TV: When we ran into a problem, we presented it to our designers, rather than going to them with a solution. They came up with solutions that we hadn’t even thought about. GF: Designers need to know where you are going with your project and understand your customers’ behavior. TV: The workshop with Pelostudio was very beneficial: they helped us to see things in a different light. You know your products perfectly because you created them, but you should keep an open mind and listen to the designers’ views. GF: We always take feasibility into account, both in terms of technique and budget. GF: What you tell investors or your friends about your project differs from what you tell your designers. Be honest! GF: Organize customer interviews to better understand their behavior and habits when they use your project or product. In addition, you should run tests with prototyped products to see how your customers react. Do they click at the right place and the right time? Do they hesitate? Do this as early as possible to avoid going too far and having to re-design your product. Maze is a good tool for this. GF: Designers cannot work if they have a blurred vision of your project. They need real content and data to create the best illustration or design. Do not hesitate to give them access to real content. GF: We organize weekly meetings with our startups. Bear in mind that your designers should closely collaborate with the decision-makers. We organize numerous contact points with our customers: video-conferences and workshops in the same meeting room to better understand each other and agree on the basics. GF: Design is not magic. Make sure that you are not only focusing on the solution but that you fully understand your customers’ expectations. Beware of pseudo problems: you need to make sure that you identify the real problems and solutions. 1- Structure: are the items in the right place? 2- Interaction: is this the best way to interact with the items? Is it easy to use? 3- Content: have you used the most relevant terms? 4- Representation: are the visuals coherent with the startup’s values? TV: At the beginning, things doesn’t always look pretty. Design is costly so you want to make sure that you won’t have to redo it completely. GF: It is important to show customers all the different possibilities, for example, what the homepage looks like on a mobile, a tablet and a PC. GF: This is often underestimated but it is very important because developers are likely to be involved in the template integration. TV: When decisions have to be made about numerous small items, it is best if the product owner handles this so that developers can save time. Make sure you choose the right agency by contacting many and trusting your intuition from the very first call. Make sure you choose the right agency in terms of size: the agency needs to be aligned with the size of your project. A large agency dealing with massive budgets won’t be interested in a €5,000 budget. Look at their customers’ portfolio. Involve your developers as early as possible because they are going to see things that you won’t. Be open about your brief, present the entire scope of your project and estimate enough time for design integration. Don't miss any of our events! Join our Meetup group.